Wisconsin’s only Quiet Lakes are blessed with a 10 MPH speed limit, ensuring undisturbed weed beds and making Lost Land Lake and Teal Lake famous for excellent fishing. 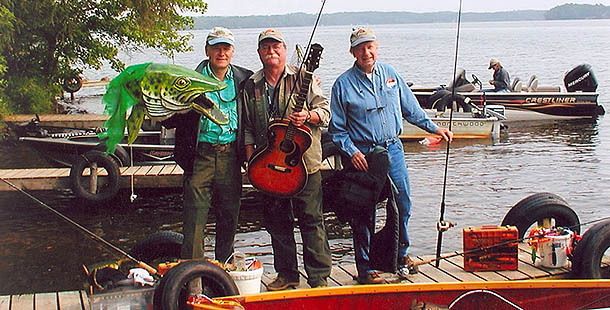 In these CLASS “A” MUSKY WATERS, 1 of 3 legal muskies caught are 40″ or more. 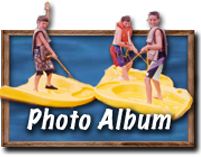 Our albums and newsletters attest to the musky, walleye, large and small-mouth bass, crappies, northern, and pan-fish that delight our guests. The combined 2,500 acres are just the right size to continue to challenge guests who have come back to Northland Lodge for decades. Yet the lakes are small enough to offer worry free outdoor adventures. Lost Land Lake is more shallow for spring fishing. 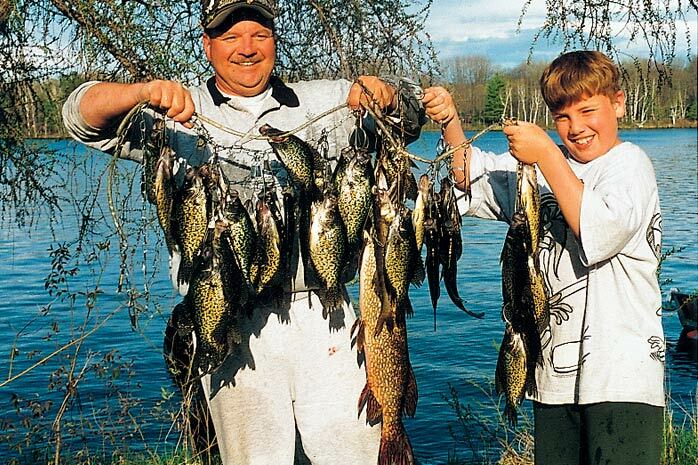 Teal Lake with its islands is deeper for fall fishing. The water clarity allows fishermen to see approaching fish and triggers squeals of excitement from little anglers. 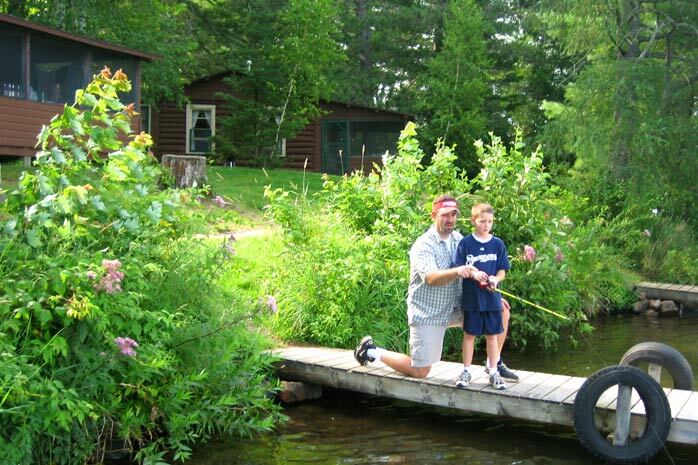 It is nice for little anglers to know they can always catch fish from the docks. 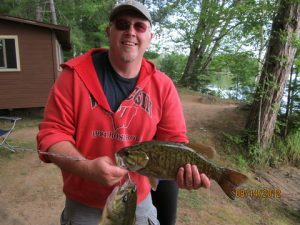 And it is nice to know from experienced fishing Guide, Pete Maina, that your outdoor adventures “chance of catching a legal musky are greatest on the Quiet Lakes.” Our Excellent Fishing Guides can be booked at the Lodge. 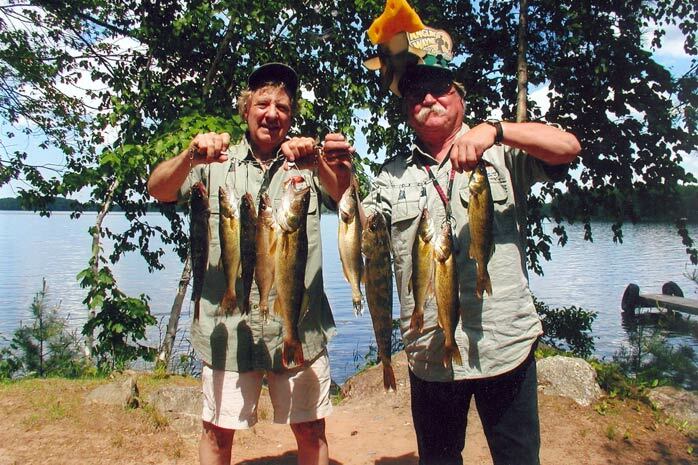 It is a good investment for future Quiet Lakes local fishing. When is the best time to catch muskies? The best time to go fishing, of course, is any time you can get away. 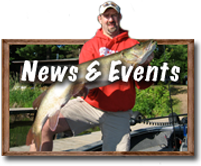 You can increase your chances of catching a musky, however, by fishing during the most favorable conditions and at the best times of the year. Some of the highest catch rates for muskies are during the summer months when the water is warm and the fish are most active. Ready to catch a musky?